Capital Roast And Regional Fruit Market Have been in partnership with each other for over a decade. Fresh Is always best which is why Capital Roast goes with Regional Fruit Market who get deliveries in daily from sydney. There has never been a request that Regional couldn’t meet for us. 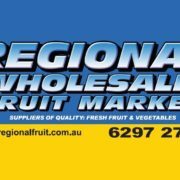 We hope to continue the partnership between Capital Rosters and Regional Fruit Market for many years to come. A massive thank you as always to everyone at Regional Fruit Market. Kaiti Primrose has been part of the capital roast team for the better part of three years. There is very little that she has not seen or done within the Capital Roast business. Whether it be running events, walking around entrees or working behind a bar at events. Kaiti takes every task each and every task with open arms. Kaiti is a resilient and reliable members of the capital roast team, never hesitating to put herself out for the betterment of Capital Roast. Never worried if it is long hours, early starts or late finishes, Kaiti is invaluable. We look forward to have Kaiti as staff member in the future. 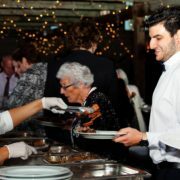 Kaiti Specialise in weddings and corporate events, where she can walk around food and interact with each and every guest. Kaiti loves using her social and personal experience skills to better the experience of each individual guest at your event. Thank you to Kaiti for her past, present and future work that has allowed Capital Roast to grow.